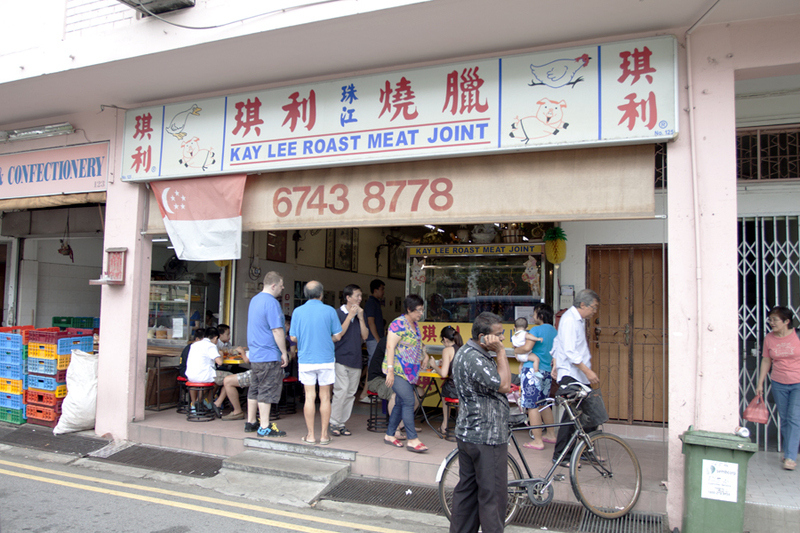 I love eating at old school food places and it was Kay Lee Roast Meat Joint last weekend. We ordered a mix plate of meat for four, and they served us half a roasted duck and a plate of roasted pork with the famous char siew. 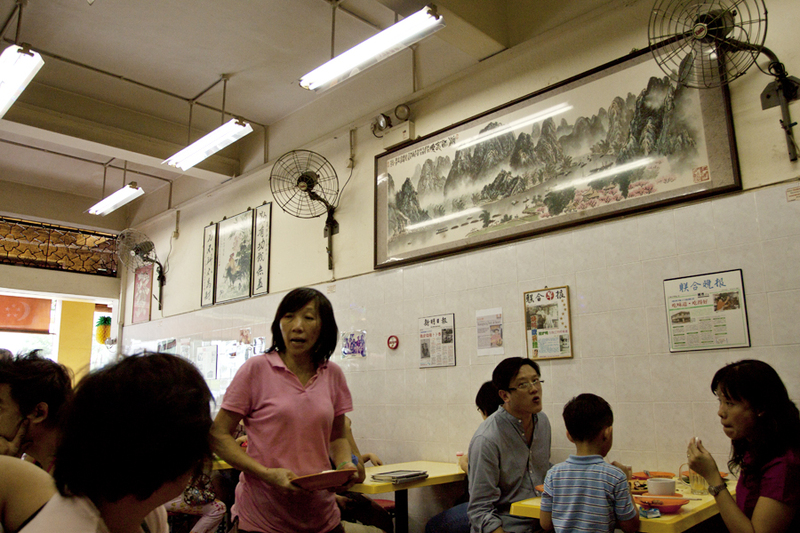 The dark sauce that accompanied the dishes really complemented the taste of the roasted meat, but what really took the cake was the burnt parts of the char siew. Crunchy on the outside and tender in the inside without being overwhelming sweet or salty. The soups were great sides too. 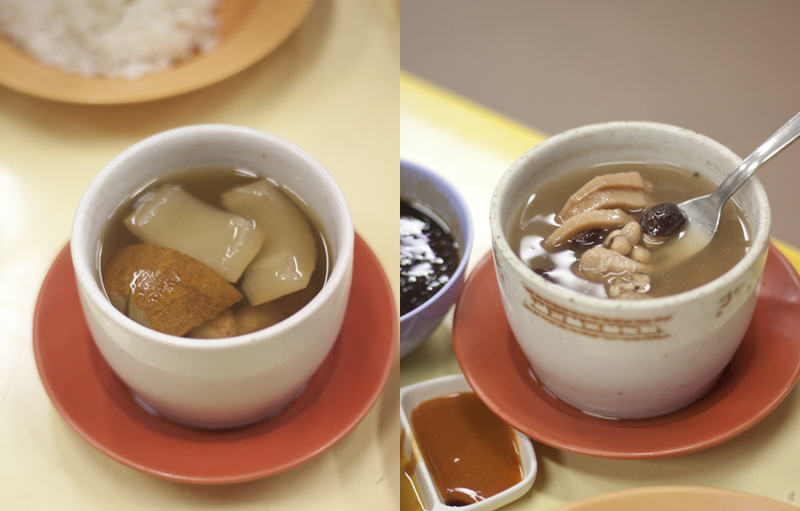 The winter melon and lotus root soup tasted like home cooked soup that takes a few hours to boil. 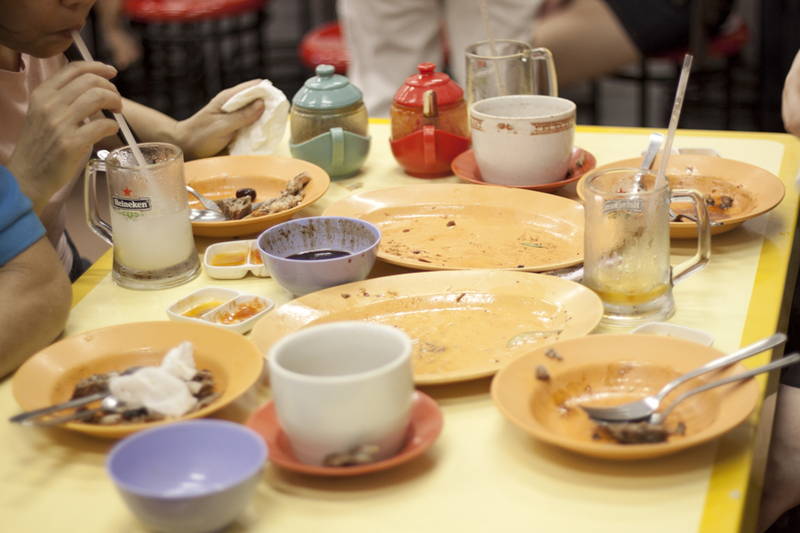 We polished everything off the table with five plates of rice, two cups of lemon tea and one cup of barley. Excellent weekend belly treats! This entry was posted in Weekend belly treats and tagged duck, food, photography, pork, roast, singapore, yummy by lifestartsonfriday. Bookmark the permalink.